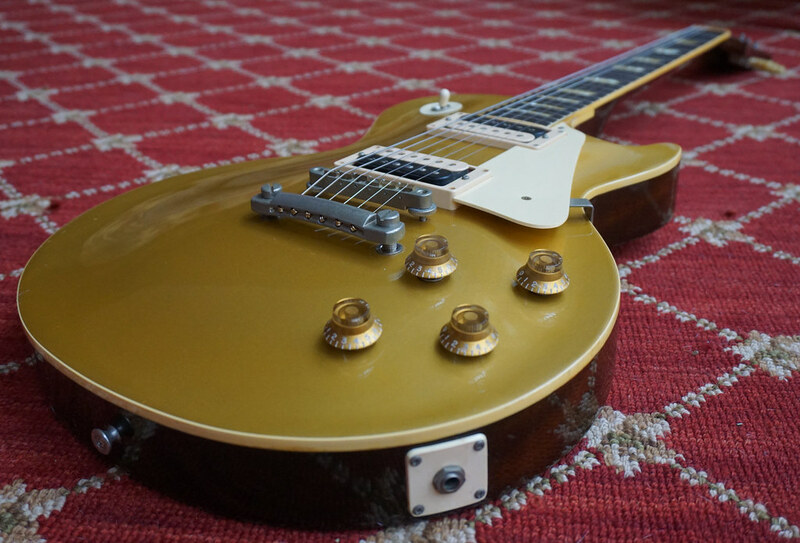 Tokai Love Rock LS-80 GT (Gold Top) made in1980. All original unmolested guitar. It has been played over the years, so there are dings and scratches you would expect as can be seen in the photos. The guitar has a one piece mahogany back, one piece mahogany neck, rosewood fretboard, maple cap and its original zebra Gotoh PAF humbuckers. Included are the original pickup covers, which screw onto the Gotoh zebra pickups. 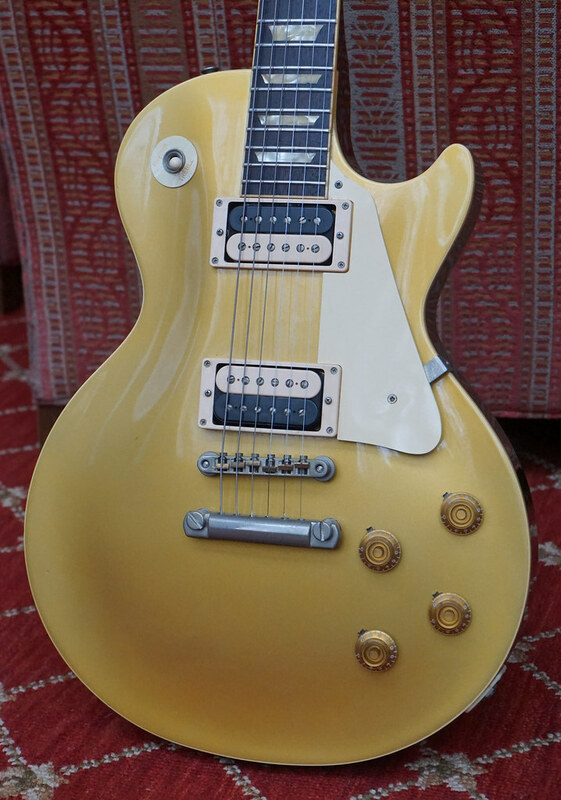 All the hardware is correct and appears original on this guitar, with consistent aging. All electronics appear to be original. The only part I replaced on the guitar is the plastic tip on the pickup selector, as the one it came with was stripped. The guitar plays and sounds great with no buzzing. Comes with non-original hard case pictured. Guitar is located in the United States. Wish you were based in Europe.